Open standards used to deploy Internet of Things (IoT) technology could cut costs by 30% and accelerate the growth of smart cities, according to a new research report. Machina Research estimated that cities around the world deploying smart tech for traffic and water control and other systems could spend $1.12 trillion by 2025 with currently-available technology, much of it proprietary. With widespread use of open wireless standards like Bluetooth Low Energy and OneM2M, those costs could be reduced by $341 billion, down to $781 billion. 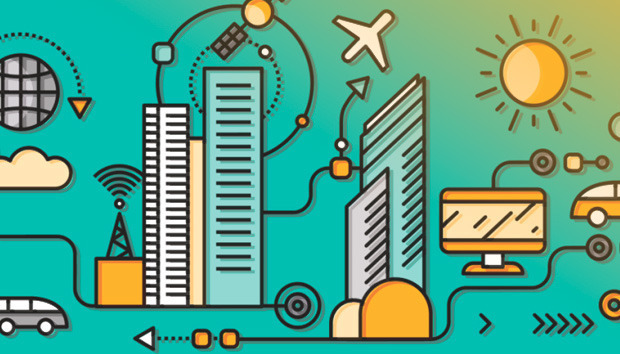 In addition, Machina estimated that using standards-based IoT would yield a 27% increase in the number of connected devices in smart cities by 2025, which could then improve the adoption of smart city apps. The 16-page Machina research report is available online, with registration. It includes brief descriptions of many emerging IoT standards. "Open standards can [ensure] money is invested more efficiently and dramatically accelerate IoT adoption and growth," said Jeremy Green, Machina analyst and author of the report. Machina provides market research and strategic guidance on M2M and IoT. Reliance on open standards should seem obvious, but experts said it has been difficult for cities to compare their technology decisions, much less make IoT systems interoperate. Cities will sometimes work with a vendor that offers proprietary technology at low cost or build their own custom solutions. The cost savings are possible because open standards improve interoperability on networks and limit vendor monopolies that can raise prices; open standards can also reduce integration costs, according to Machina and other research firms. Smart parking, for example, could benefit from an open standard approach. Some cities have already deployed wirelessly-enabled parking sensors under parking spaces to show a driver via a smartphone where spaces are available. The problem is that many smart parking sensors and related software are proprietary, and if deployed in a major city likely won't work in the suburbs or nearby towns. It's a problem if a parking app works in one location "but won't work five minutes away," said Alan Carlton, vice president of Interdigital, a developer of mobile technologies and sponsor of the Machina research report. "We're part of a group trying to propagate a smart city vision that results in a long tail for areas outside of smart cities." Interdigital backs the open OneM2M standard along with 230 other companies, including IBM Europe, AT&T, Samsung, Sprint and Verizon. The purpose of OneM2M is to develop technical specifications for the M2M service layer that can be embedded in hardware and software for interoperability -- all the way from sensors to gateway devices to the cloud and then to a back-end server. With a OneM2M approach, a smart parking app could have "true international status for the rollout of that technology," Carlton added. The report also describes the OneTransport field trial in the UK, which is smart application of transportation data that relies on the OneM2M standard. It aims to integrate diverse transport information systems across multiple counties. That would allow users to plan trips usiong trains and buses while also giving transportation planners access to real-time information to help run their networks more efficiently. There is also a case study of Santander, Spain, a city of 180,000 residents, where a "city brain" is being used to manage services like traffic, streetlights and waste collection and to monitor pollution and noise. The city uses 2,000 sensors mounted on the tops of buses, garbage trucks and other city vehicles. Smart parking magnetic resonance sensors there communicate via the Zigbee short-range wireless protocol.